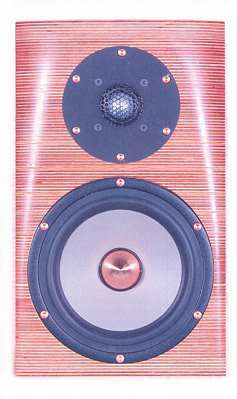 Compact shelf loudspeaker with excellent sound quality. The GHP Monitor comprises a Seas Excel tweeter T29 AF001 with aluminium / magnesium diaphragm and an Excel W18 E001 bass driver with magnesium diaphragm. The term GHP denotes "Geschlossene Bauweise mit Hochpass" in German, which means "sealed cabinet with high pass". Here you can find some theory about high pass.